Thank you for visiting the website of the Law Office of Gregory C. Dibsie. Determining the right law firm for your legal needs is a very important decision that should not be taken lightly. You must feel comfortable with your attorney just as you would with a trusted confidant. We have built this firm by building a bond with our clients that far exceeds the general attorney-client relationship offered by other firms. Our attorneys and staff understand that our client family are entitled to more than just excellent legal representation but deserve to be respected and listened to through the journey that has brought them to an attorney. We pride ourselves on going the extra step to ensure our clients understand each step of the legal process and are given the time and patience they so deserve while maneuvering through it. 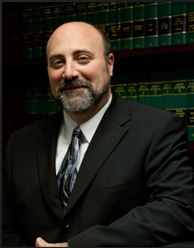 Our goal is to limit the stress and worry caused by the situation in your life requiring the services of an attorney. Becoming part of our client family will ensure you will not be treated as merely a client but rather part of a team that has only your best interests at heart and that will take the time and expend the energy to tend to all your legal needs in a professional and expedient manner. We invite you to continue to review this site to see why we should become part of your team during this time of need.